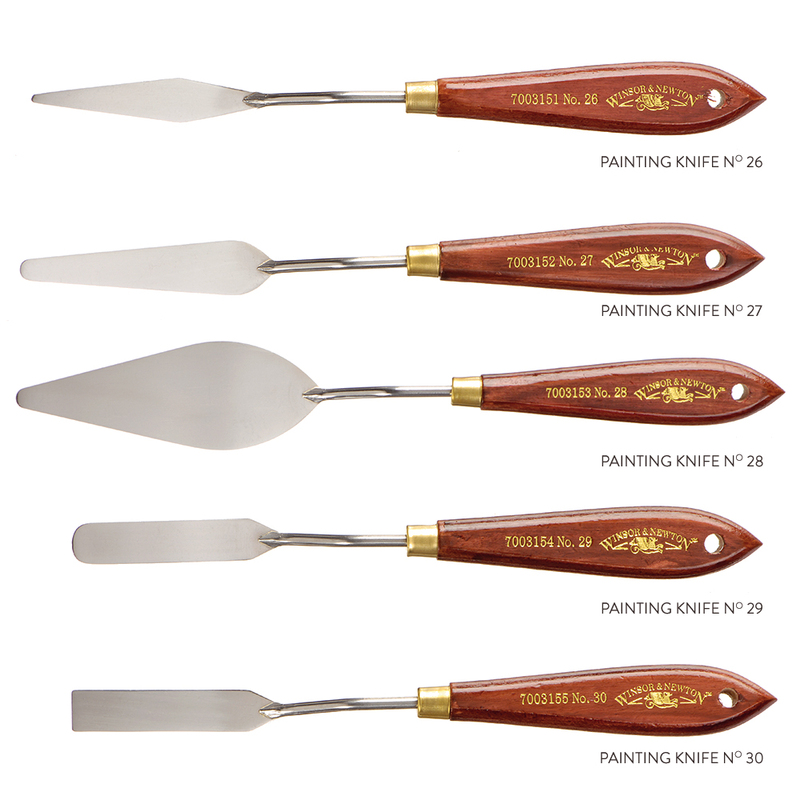 A range of palette knives for use with oils or acrylics. No. 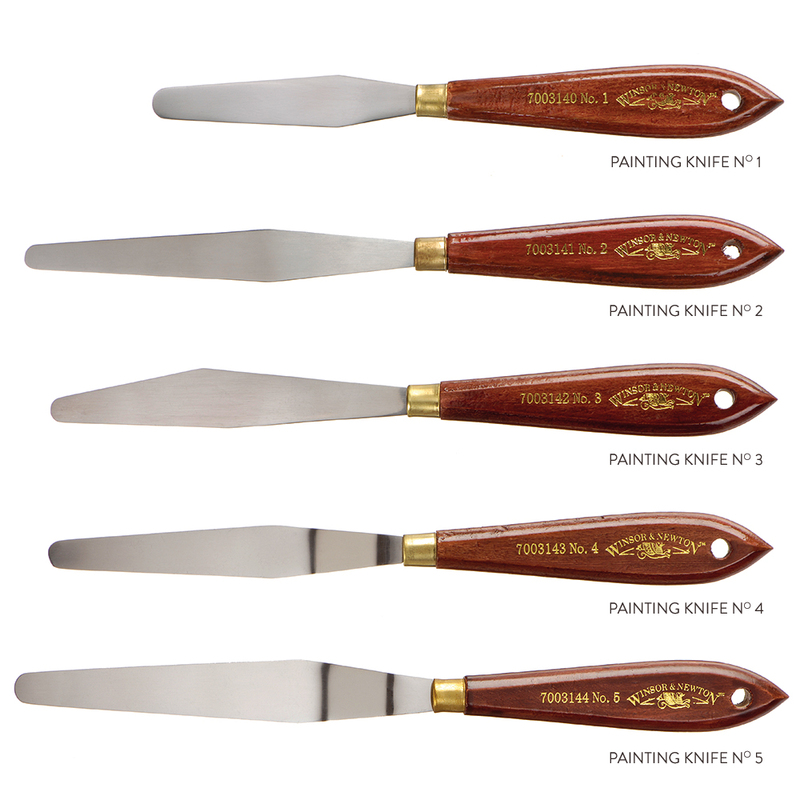 1 palette knife is a straight steel blade 3" long. No. 2 is a straight steel blade 4" long. No. 3 is as number 2, but narrower and more flexible. No. 4 is as number 1, with a cranked shank, 3" long. No. 5 is as number 2, with cranked shank, 4" long. 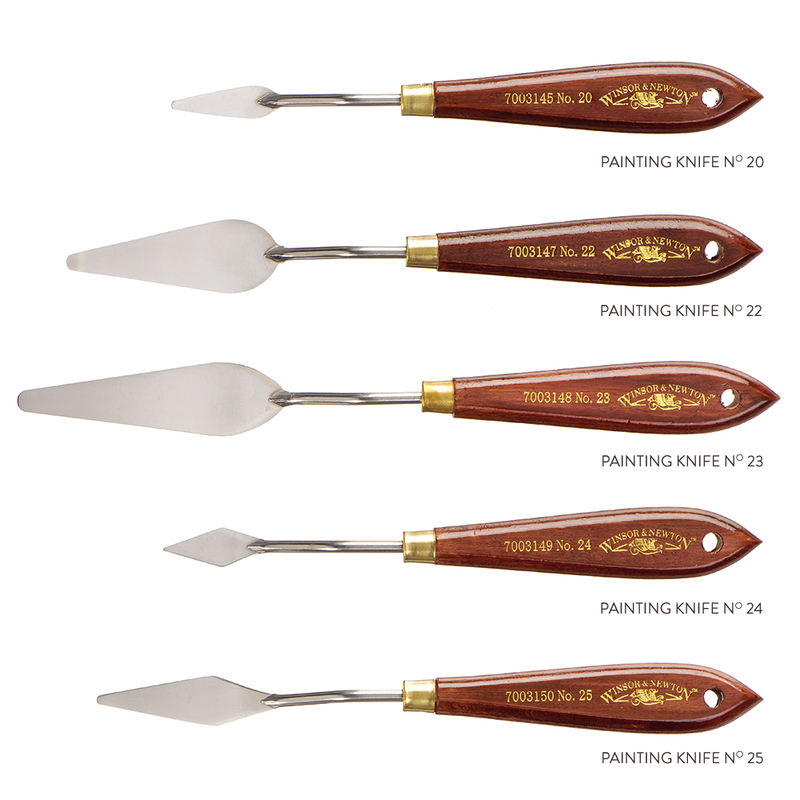 Painting Knives: Nos. 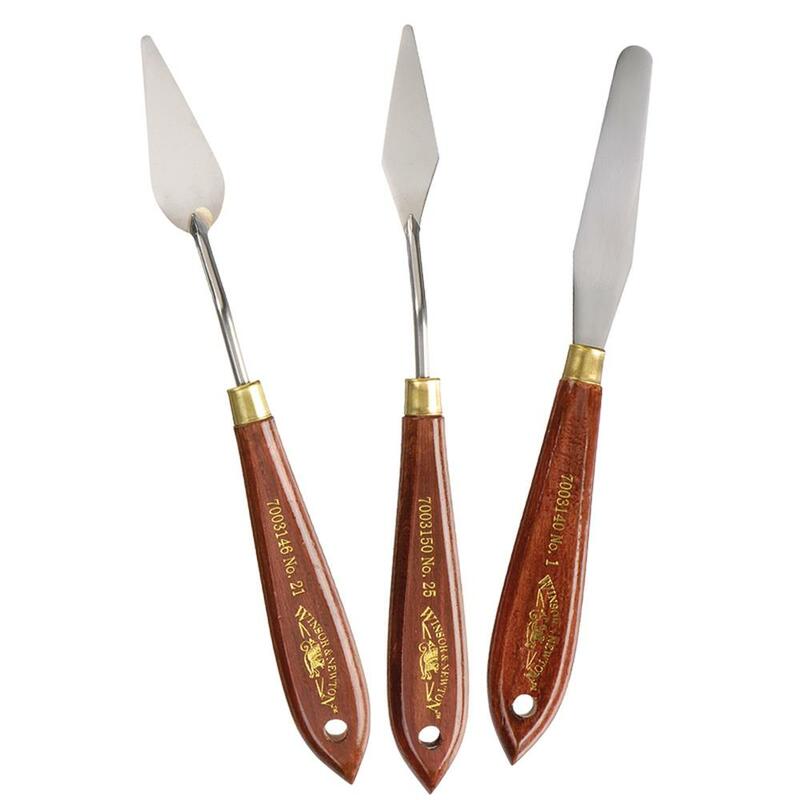 20-30 is a range of flexible blades.